Plans to replace the BMW Garage Site at Lee Terrace, Blackheath for Berkeley Homes has been given planning approval by the London Borough of Lewisham. EPR’s design for the mixed-use development will replace the existing BMW garage with a high quality development comprising of 20 apartments over the retained BMW boutique Showroom and 10 townhouses. 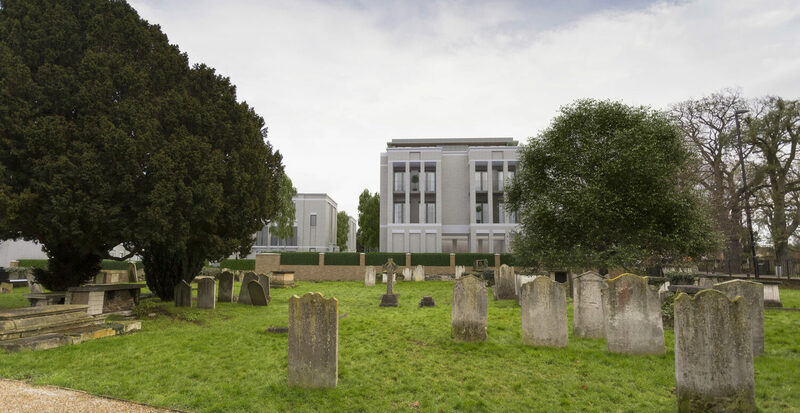 The site is prominent and architecturally sensitive, located at the heart of the Blackheath conservation area in an area of well-preserved regency architecture and immediately adjacent to a listed Old St Margaret’s churchyard. The scheme proposed is in a contemporary style but with a classical flavour, complementing the dominant local architectural style, and it subtly creates a new sense of place in the way it addresses the neighbouring churchyard and the entrance to Lee Terrace.